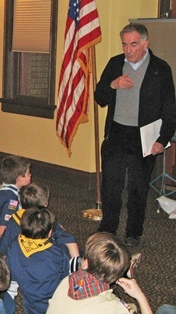 The Museum offers programs for scouts and other after-school groups. All programs are guided by members of the Museum staff or volunteer corps. 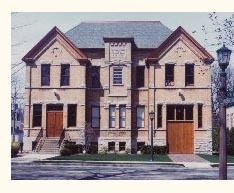 To schedule a program, call us at (847) 853-7666 or email museum@wilmette.com. Tours are generally scheduled Sunday through Thursday afternoons. Please contact the Museum at least three weeks in advance to ensure availability. Go See It! Tour the Museum, do an “I Spy” activity, and talk about how life was the same and how it was different years ago. What Makes America Special – Visit the Museum and learn about its historic building, what was once the Gross Point Village Hall. Start a Collection – Learn how the Museum cares for its collections. Bring a collection of your own and get tips for organizing and caring for it. Bring your Brownies to the Museum for a program to celebrate local history and their community . Programs can generally be adapted to fit your needs. Please contact the Museum at least three weeks in advance to ensure availability. Please contact us if you would like to request another program, (847) 853-7666 or museum@wilmette.com.